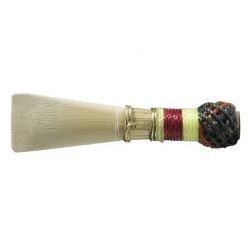 Andreas Eastman French Cut Bassoon Reeds are produced from fine quality French cane. Each reed is French cut and filed to exacting standards, creating the rich, refined sound that tipifies Andreas Eastman products. A fine double reed at an affordable price. Available in Soft, Medium-Soft, Medium, Medium-Hard, and Hard strengths.